Plenty of fishing available right now in the Taupo area. 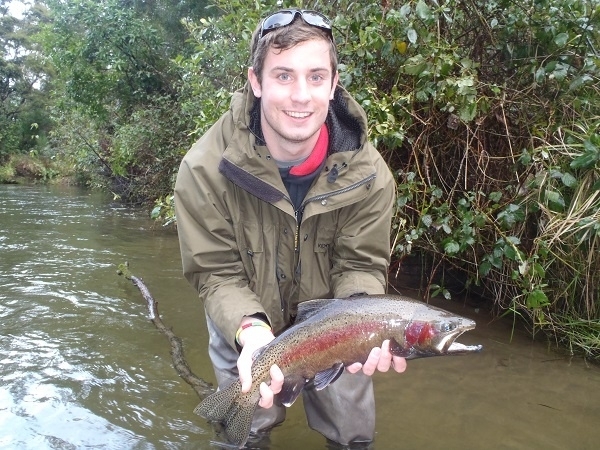 The heavy rain and flooding in some cases did the fishery very good and pushed fish in all those smaller rivers. The Tongariro was the one which really needed cleaning out and that certainly has happened with a good amount of the river turned over creating new water for fish to lie but also plenty of food. 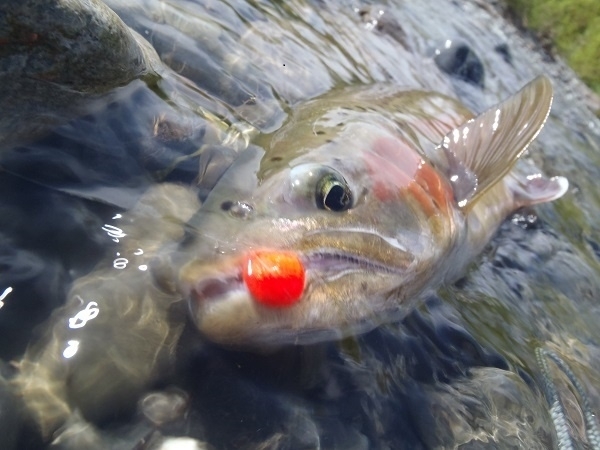 I think most anglers expected the fishing to be red hot on the Tongariro after the high water and recreational releases but actually the smaller rivers have been better. The Tongariro was just short of amazing prior to that, it couldn’t have got much better. I have been out only twice this week and totally cleaned up on the Hine. This river again received a good pulse of fresh silver fish which added variety to the catch bag with the darker fish which were already up there. ThereÂ is plenty of fish in here and you can expect to be seeing fish in every suitable run, this fishery has been outstanding this past winter season. The Hine had a good amount of flow in it for quite a few days but didn’t become un fishable with all that rain-just enough for near perfect conditions. The TT finally had some good water down it and it sure pushed a lot of trout up the river when the water was high. The high water rang alarm bells with avid TT anglers and they turned up in their droves and raced to the best water which they knew. When the water is up in here and fish are moving some of the best water can be found right at the car park, but don’t tell them that. I think we are in for some good runs over the next couple of weeks especially in the Tongariro. The Delta fisherman have again been doing very well which means the fish are still wanting to enter the river and run to spawning water. We are again due plenty of rain over the next few days and if we get it I would say next week might be very good again. The fish are right through the river now but extra water and overcast conditions just make them slightly easier for most to catch-experienced anglers with plenty of fitness have enjoyed good fishing all week again. I have been fishing glo bugs with high coloured water but it has been hard to go past flashy natural patterns lately. Trout are seeing plenty of food at the moment with extra flow dislodging thousands of Caddis, this should be a go to fly!! I have had a couple of days away from the river recently so I have been pursuing my other love which is hunting. I do offer guided hunts for clients on private land so if you want a safe hunt with no fear of other hunters let me know and we can get you out. 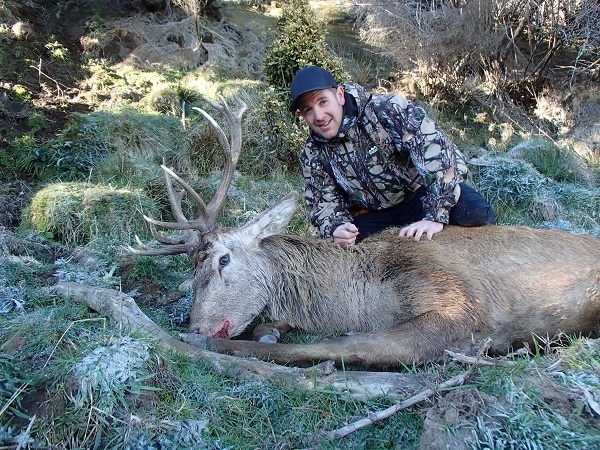 I really enjoyÂ a change of scenery and being in the hills alone, supplying my family with meat is important to me and leading into summer will be much appreciated.Â I was lucky enough to take this Red Stag during the week, took quite some time and sweatÂ to lug back to the truck but that never hurt anyone! Hope to hear from you this week, any questions or advise I’m always happy to help please just make contact and say hello.